The Workspaces are a club’s library of their training and tactical content. Users will be able to save, edit and share their Playmakers, Sessions and Formations to their private Workspace, their squad’s Workspace or more. All documents have version control that allows other users to duplicate content to adapt, personalise with their roster and apply variations with ease. Clubs have the ability to quickly document their methodologies, philosophies and intellectual property, allowing content to be easily shared throughout the club. 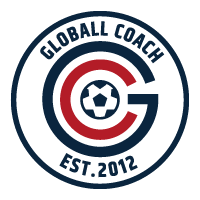 A vital tool for education, coach development and collaboration.